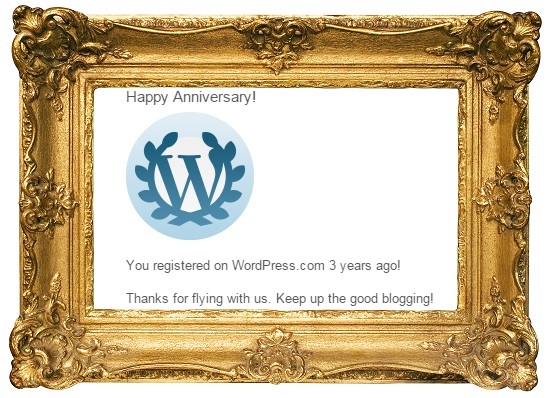 Today exactly three years ago I started this blog. It was not something I had thought about for a long time, but a decision to just give it a go to see where it would end. Well, it hasn’t ended yet and instead it has become difficult to imagine life without food blogging. Without exaggerating I can say that starting this blog has had quite an impact on my life. I’ve made many new friends, some of which I’ve had the pleasure to meet in real life as well, and the interaction with my readers and fellow food bloggers has been a huge inspiration. Who would’ve thought that I’d become half a chilehead or make my own Thai curry paste? Or that I’d buy a camera with a 50 mm lense and learn about ISO and aperture? This is the 700th post on this blog, which means an average of 4 to 5 posts a week. 627 of those posts are recipes, all with step-by-step photos. 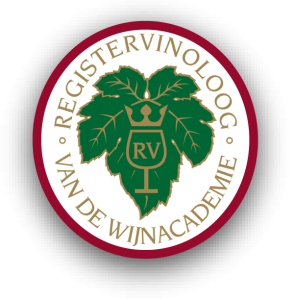 I’ve seen many blogs coming and going, but I’m still determined to “share every single interesting experience with respect to food and wine”, as I promised to do in my first post. Since the start of the blog, the number of posts per month has never been lower than 11 and has been as high as 26. The average number of daily views has been steadily increasing from 12 in December 2011 to 212 in December 2012 to 461 in December 2013 and over a 1000 in the last month! The increasing number of views is nice, but it is the interaction with you all that keeps me going. So please leave comments and ask questions! I especially love hearing about it if you have tried a recipe from my blog. That really makes my day. Thank you for joining me on this continuing journey. Congratulations! Food blogging has really become much more than I ever thought it would be. And I love that our photography skills have improved over the years! Just yesterday I deleted about 25 posts because of the horrible photos! I mention your blog in a post tomorrow – check it out! Thanks, Mimi. You have been an important part of the journey. For me the recipes are most important, but I’ve given in and have started paying more attention to photography because a picture says so much more than words. I still wouldn’t delete posts though as long as the recipe is fine — sometimes I will update photos if I make something again. Congratulations and THANK YOU, Stefan. Your food blog has introduced me to your incredible culinary talents, your house, home, and of course you and Kees! You’ve also put Wormer and the river Zaans on my map and a variety of new foods on my plate. Dank je wel. Direi un gran bel risultato! complimenti Stefan! Congratulations Stefan. A superb achievement. Thank you for the inspiration to try new ideas, the patient and detailed teaching of the necessary skills and recipes that actually work! I appreciate that this site is not littered with advertising and that your recipes are not based around sponsored products. You seem to do this for the true love of it – not just an opportunity to make money. Congratulations Stefan! I have been an early-ish follower of yours, and continue to enjoy your recipes from afar. So much inspiration in your cooking! Major Congrats … I’m about two months away from my 3rd Anniversary too! Congratulations! I know exactly how you feel. Blogging has created a whole new social interaction that has been very rewarding. And I would greatly miss not receiving your daily blog if you were to stop! Keep on. Not to mention I learnt things about Italian cuisine even I didn’t know. Congrats! I know exactly how you feel. I recently took a break from blogging and I missed it!!! Thank you for your creative recipes and your dedication. I have learned so many things and been exposed to recipes that otherwise I would never see. I wish you many more happy blogging years! Most sincere congratulations! As I have only come to visit for a year or more, am very glad sharing your food experiences is still interesting for you. Have loved the recipes but above all the descriptions of the meals you have had, be it in Italy, Spain or back home. Perchance virtual visits but one still feels one has ‘almost’ been there!!! And you are teaching me a fair amount about wine pairing 🙂 !! All the best . . . I can’t tell you how much I have enjoyed your blog! Your sous vide information is second to none.Thank you so much for taking the time and having the patience to continue bogging. I would love to host you anytime you could get to South Texas. You have certainly been prolific! I don’t know how you do it, and hold down a job, at the same time. I find it onerous posting just once a week and have on occasion slipped to once biweekly. I’ve tried several of your recipes and always enjoy reading them – lovely photos! Congrats!! !